It was a gorgeous Autumnal day for David & Amy’s wedding in Sheffield. Paul & I are Lake District wedding photographers but we do also photograph weddings in Sheffield throughout the year. Amy was keeping to David’s wedding day schedule at home getting pampered. Her dress was amazing and her beautiful bouquet was from Sheffield florist, Plantology. They bridal party headed off to All Saints Church in Ecclesall which is very special to them both as they met there and David proposed there too! The ceremony was fantastic with lots of joyful singing and heartfelt prayers. Guests were treated to cake afterwards and then we headed to the Botanical Gardens for a few photos before heading to the reception venue – Silversmiths Restaurant in the city centre. There was fantastic food, hilarious speeches and then a walk through town to Cutlers Hall for the reception. Guests could play games in the bar area before the evening reception kicked off with a band and lots of dancing! 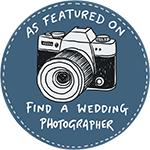 Paul & Helen are Lake District and Cumbria wedding photographers, they photograph weddings in Carlisle, Wigton, Cockermouth and Keswick as well as photographing weddings in Sheffield, the Peak District and all over Yorkshire! Naomi & Richard – Sheffield wedding photography, Rutland Hotel.